A friend and I were out for a drive earlier in the week, and as the morning gave way to afternoon, we started feeling hungry. After fixing on the area (Koregaon Park), the next thing was to decide the place. Neither of us was in the mood for a ‘proper’ lunch, rather a quick snack kinda thing. 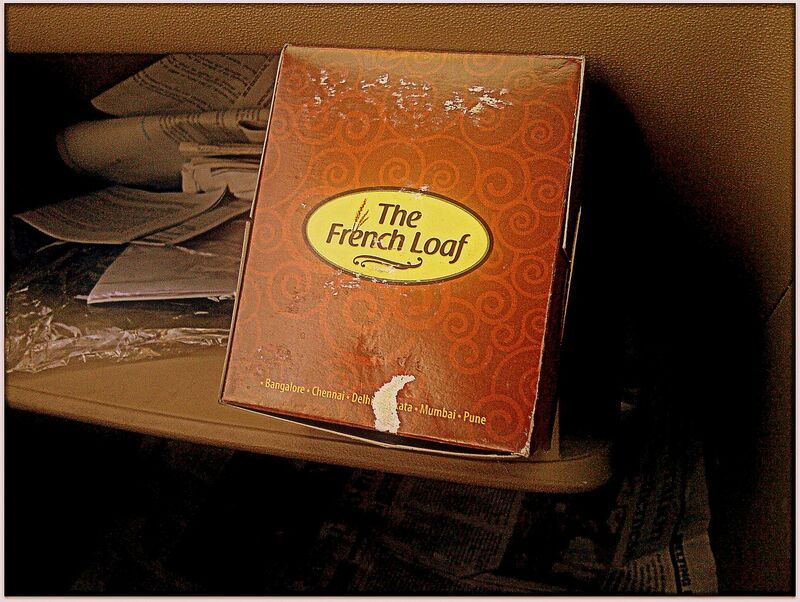 Several names popped up like Post 91, Italicks, Mocha, Prems et al, when she suggested ‘French Loaf’, as she’d been there before. Located near The Great Punjab restaurant in Lane 5, the entrance is simple enough, and once in, it seems like any other bakery / confectionery shop. As you enter, the section on the left has the usual breads and loafs that people walked in and bought. As far as eating was concerned, there was an array of veg and non-veg stuff, neatly separated by a section which had cakes and desserts. The one thing that surprised me was that most of their non-veg creations had chicken sausage rather than chicken itself. The conversation and banter flowed on and before we knew it, almost a couple of hours had passed by. I was wondering whether to eat something else, knowing that such ‘breaded / baked’ stuff is not really that fulfilling. She said she wasn’t hungry, so I went on to have a dekko, settling on the Chicken Quiche. This had actual chicken and was made well, except for the crust which was a little too brittle than what it should have been. I think the one at Kremes n Krusts is better.